The coming end of this year usually brings ponderings of the past and predictions for an unknown future; but screw that. Books are where it’s at. I love to read. As a fellow reader, you’re probably looking for books to add to the “want to read” bookshelf. I’m here to recommend three more that you should check out. These aren’t in any particular order or limited to being published this year, they’re just books I’ve read and loved. 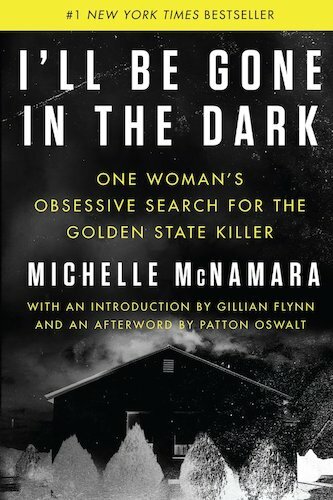 1 – I’ll Be Gone In the Dark – A wonderful and dark examination of what a private citizen can do when they become incredibly obsessed with solving crimes. Dark tells the frightening story of the Golden State Killer and the author’s efforts to find him. Many of these stories are gut-wrenching. You’ll sit there with the book in your hand wondering how the hell he got away with these things so long. The visceral feeling of the attacker’s methods combined with descriptions of crime scenes are vivid. You’ll be wishing that you didn’t pick the book up at night. More profound, however, is the real-life drama unfolding outside the book. The capture of the Golden State Killer, the untimely death of the author, and the connections to a famous comedian. All of these things add to the story here in various degrees knowing that the author would never live to see much of it unfold. This is stuff that transcends the written word. 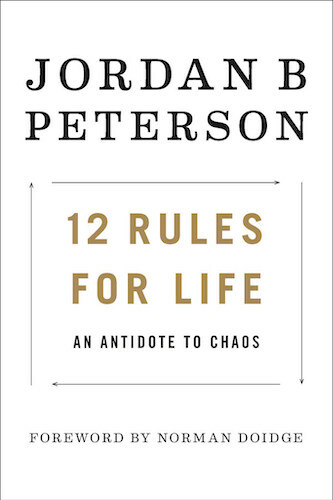 2 – 12 Rules for Life: An Antidote to Chaos – Peterson is a polarizing figure. This book is no less polarizing. Criticized for being light on real advice, for pandering to men, and for creating an idol – 12 rules may have already earned your distan. But, these are good reasons to read the work. From a Quora response that turned into a book that made this University professor famous – you can almost chart his ascension as you read the book. There are valuable lessons here. Don’t treat this like a “self-help” tome. Treat it more like a phenomenon that is worthy of examination. All along, he offers some good advice, some kooky theories (lobster anyone? ), and leans perhaps too heavily on religion. All this is to say, the book is good. It’s worth reading and paying attention to. 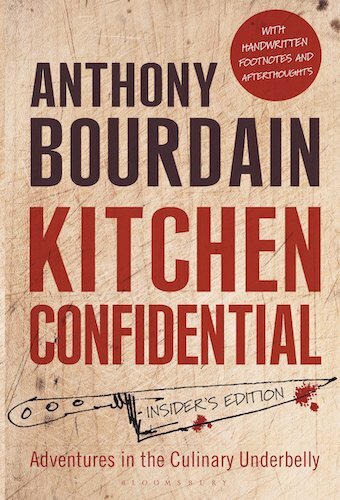 3 – Kitchen Confidential: Adventures in the Culinary Underbelly – This year I discovered Bourdain. Not because I was astute and aware that we share such similar travel philosophies. No, it was because he died in June. That tragic event set in motion my curiosity about his literary and television work. The man was a great ambassador for those that want to be “travellers not tourists”. Not only that, he extolled the virtues or working-class cuisines and those that work in the trenches to make them. As someone who also cooked for more than a decade, I have a great kinship with the ideas presented here in Kitchen Confidential. He takes you deep into his mind as a chef and the underbelly of the industry. If you are also yet to discover him, this book is your best entry point. From there expand into his many television ventures, the cookbook, the early fiction writing and book sequel. Bourdain has often said he “didn’t think anyone would read” Kitchen Confidential – but, like all self-defeating authors know, when the story you tell is told well, the world will read it. These are but three of the 36+ books I’ve read this year. I even tracked them, click here to see my year in review on Goodreads. There were too many to mention, but these three stood out. Let me know in the comments below if any books stood out for you. Hey, check this out. I have a newsletter. Subscribe, you’ll like it.